Every morning, my tot tells me what he wants for breakfast as if he's been thinking about breakfast all night. He wakes up, runs into my room, lays next to me and while cuddling, he tells me he wants this and that for breakfast. It's so funny. Sometimes he demands something that I don't have time for and I make something else thinking he wouldn't care much. But no...he would eat what I give him but he would talk about the menu of his choice until he gets it. So usually have to make it the next day at least. I have to admit he probably got it from me. When I have cravings, until I actually have whatever it is, I can't stop thinking about it. 1. Preheat the oven to 425F. On a parchment paper lined baking sheet, spray a little oil. Spread shredded potato and press it down. Spray oil on top and bake for 25 minutes. 2. 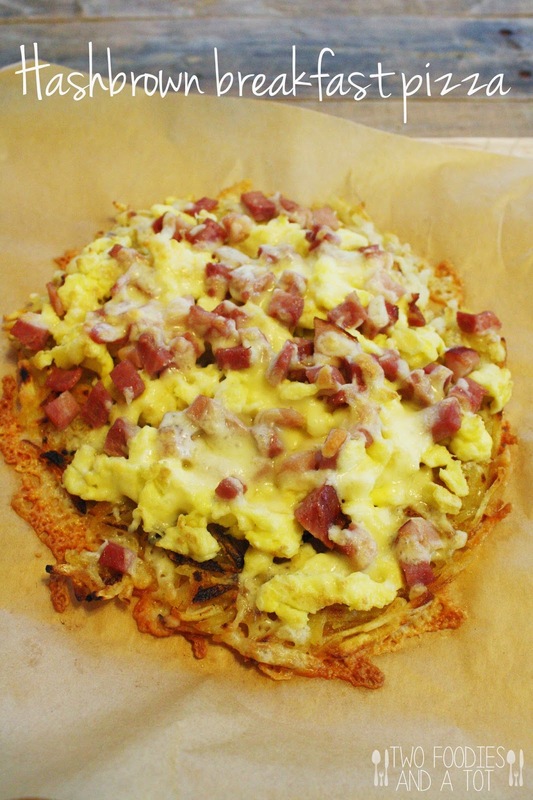 While hash brown's cooking, scramble eggs and heat cubed ham. 3. 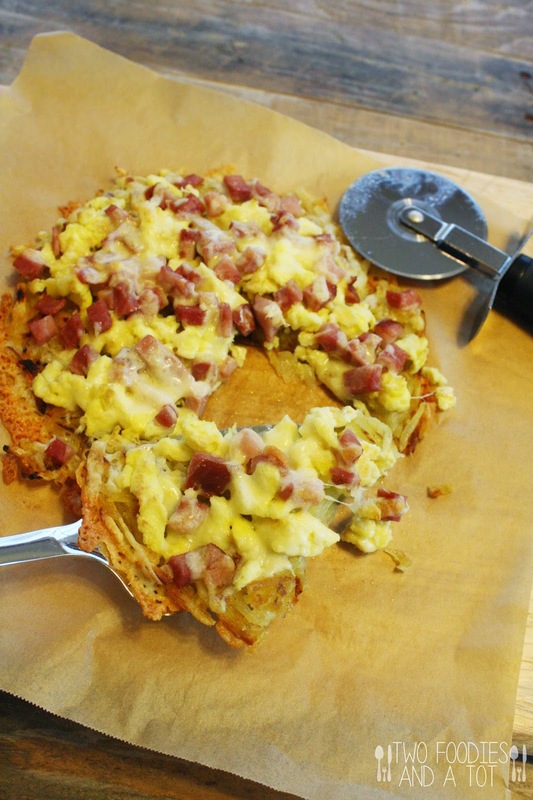 When hash brown's done, top it with eggs, ham and cheese. 4. Put it back in the oven and bake 5-7 minutes or until cheese is melted and top browns a little. *Adapted from the gunny sack.